Name something better than a bacon-wrapped hot dog… we’ll wait. 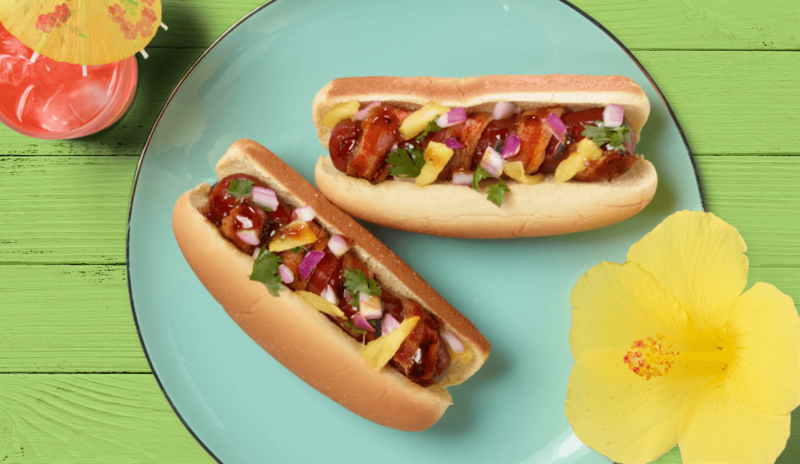 In the meantime, try out these Gwaltney Bacon-Wrapped Hawaiian Dogs. In a medium bowl, combine pineapple, onion, cilantro and lime juice; set aside. Wrap each Gwaltney Great Dog in a strip of bacon. Add hot dogs to the grill and cook until the bacon is brown and crispy, about 4-5 minutes. To assemble the hot dogs, add the hot dogs into each hot dog bun. Top with pineapple salsa and drizzle teriyaki sauce on each.